To generate business opportunities for Elk Grove Chamber members through building and strengthening professional relationships in a non-competitive and mutually supportive environment. Elk Grove’s marketplace is full of great products and services. With very few exceptions someone else is selling or about to sell your product or service. Success or failure rests on gaining a competitive edge. This is where the resources of Referral groups have helped so many professionals. Perfect your sales presentations, speaking skills, marketing plans, selling techniques and many other skills. By capitalizing on the varied abilities of your peers you will become more polished and greater able to achieve results. Focus on uncovering and identifying your power partners. History has proven this process to be a quick and meaningful way to build relationships. Members of the group will help you discover and meet individuals with similar customers, needs and values. Form business friendships that will last for years. Engage in giving and receiving business. As the most sought after benefit of each Referral group, receiving referrals cannot be rushed. Meaningful referrals are rarely exchanged without an investment in professional development and personal capital, which is why joining a Referral group will place you on a better path to success. Referral groups work because of people that are willing to invest time and effort into other similar thinking people. If individual success could be accurately measured it would have to account for all the positives that are derived through professional development, strategic partnerships and social capital. Realistically it is impossible to calculate financial gains attributable to such intrinsic value. Therefore we must rely on word of mouth from those involved in the Referral group because they appreciate how positive the experience really is. What is a Referral group? Referral Groups are the Chamber’s premier lead generation and referral networks based on trust, commitment and referrals. A successful Referral Group has committed members who attend meetings regularly, develop trusting and professional business relationships, and pass quality business leads and referrals. In order to uphold loyalty between group members, individuals may only participate in one group. Each Referral group includes business owners and sales professionals from non-competitive industries committed to help each other cultivate their business. Participation in Referral groups is an exclusive benefit of membership. What are the benefits of joining a Referral group? Who joins a Referral group? 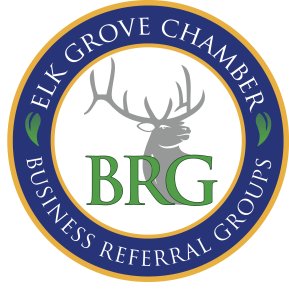 Elk Grove Chamber of Commerce Referral Groups are comprised of members from non-competing industries who are business owners, managers, sales and business professionals. Participation is open to all members in good standing with the Elk Grove Chamber of Commerce, for a fee of $150 a year. A representative of a Chamber member company may only join one group. However, a member company may have representatives sitting in up to 2 different groups at one time. Why should I join the Elk Grove Chamber of Commerce Referral Group Program? Within each Referral group, relationships are created and grown that encourage members to become the sales force for one another. With business professionals in support of each member’s business, the ability to be represented throughout the Sacramento region increases greatly. Support between members is proven yearly by tracking exchanged revenue.